The SICOM is part of the product group of "IO-Modules". The SICOM is delivered as PCB en is provided with 2 TTL interfaces for connecting the readers and 16 optic separated in- and outputs. As "IO-Module" the SICOM is the connection with the environment through the optic isolated in- and outputs. F.e. the outputs can be used for switching the electric locks and the inputs for monitoring the door position. 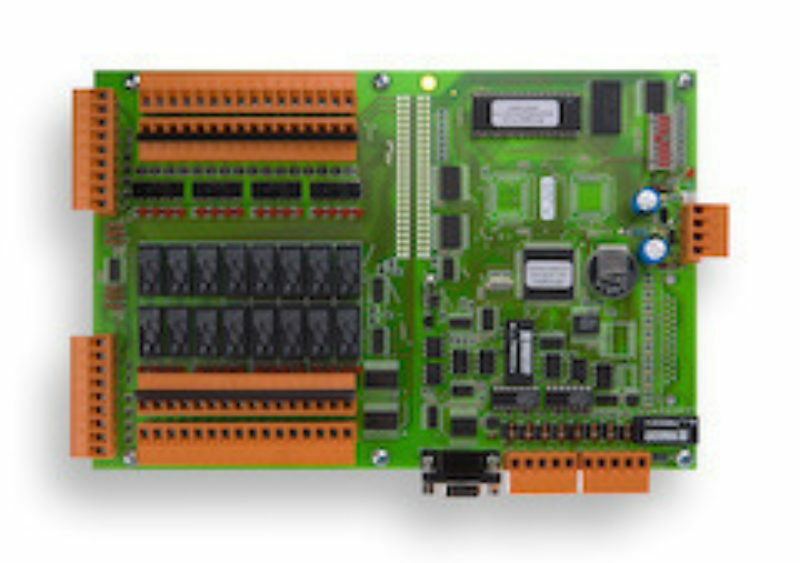 De SICOM is provided with 1 RS485 interfaces. With this RS485 the SICOM communicates with the connected "Concentrator" or "Combi". This can be a RCU, MASplus or RCUplus. The SICOM is powered with an external power supply like the PSU100. Our TiSM PC software is responsible for system configuration, monitoring and management.